What better way to escape the winter weather than to start imagining the perfect special event? 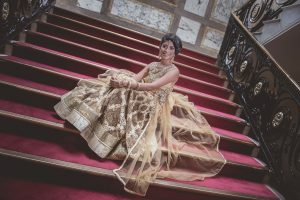 Whether you’re planning a corporate party, charity event, fashion show or wedding, make sure you save 25 January in your diary for the Porchester Hall Venue Open Evening. You’ll get to meet and mingle with our team of carefully selected local suppliers such as caterers, florists, entertainment and AV, and get up close and personal with this stunning Grade II listed building. 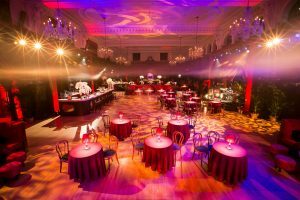 So, what makes Porchester Hall such a great venue? As one of the jewels of the Everyone Events portfolio, it’s an obvious choice if you’re looking for old Hollywood charm and unmatched style. With its classic art deco design and understated elegance, it’s the perfect venue for a wedding, or events of all sorts. Imagine taking photos in the grand entrance, or with your guests posing along the elegant staircase complete with ornamental bronze and wrought iron banisters. With striking marble walls and a show stopping crystal chandelier, the building’s aesthetic is oozing with elegance. Planning a big event? No problem. The Main Hall can accommodate up to 600 guests for a standing event or 450 for a seated dinner. With its handsomely panelled oak walls and rich velvet curtains, the hall is the very essence of grandeur and opulence. We all know location is key, and Porchester Hall is extremely well-connected. It’s just a short walk from Royal Oak, Bayswater and Queensway Tube stations which are on the Hammersmith & City, Circle, Central and District lines. For a Friday or Saturday evening event, guests can take the Night Tube from the Central line and there’s also nearby parking available. Whether you’re an event planner or a bride-to-be, this event should definitely be on your radar. The event begins at 17:00, but you are free turn up anytime between 17:00 and 21:00. Upon arrival, guests will be treated to a complimentary drink and delicious food samples. There’s also a prize draw and special open evening offers. Even better: the event is free to attend. If you are interested in attending the event and learning more about this amazing space, register your interest here. For more information on Porchester Hall, like our Facebook page, or follow us on Instagram or Twitter. For other venues in the Everyone Events portfolio, check out our website, or you follow us on Twitter @EveryoneEvents or Facebook.